The Olloclip is a three way lens that you clip to the corner of the iPhone or iPod Touch and it goes over the lens of the phone. It works with the iPhone 4/4S, the iPhone 5 and the iPod Touch 4, 4s and the 5th generation iPod Touch. The lens can work as a fish eye, a macro lens or a wide-angle lens. The macro has 10x magnification, the wide-angle doubles your field of view and the fish eye gives you a 180 field of view. It comes in a pouch. 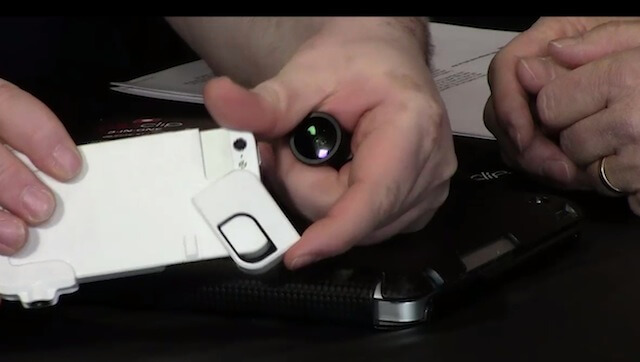 They are going to release a case that works with the Olloclip in March. Currently most people who have a Olloclip either use it without a case or an easily removable case. The new case has a tripod mount in both landscape and portrait mode. It also has an option for cold shoe mount for a light or microphone, It will work with a regular shoe mount. The Olloclip works with any photo application including Instagram, Flicker and Camera+. 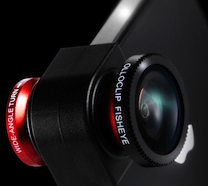 The Olloclip is available for $70.00, the website, at Best Buy, Amazon and other retail stores. Interview by Jeffrey Powers of Geekazine and by Scott Ertz of F5 Live: Refreshing Technology. It’s a brave man who attempts to find inner balance at CES, but Jamie gives it a go with HeartMath‘s forthcoming Inner Balance. 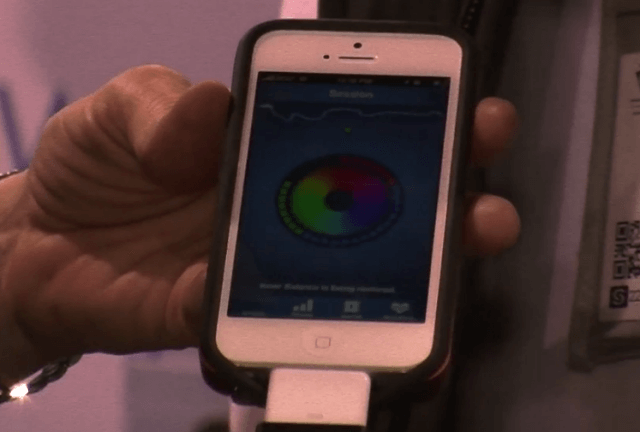 HeartMath’s Inner Balance combines an iPhone app with a heart rate sensor, providing a feedback loop that helps people control their heart rate, relax and relieve stress. The sensor gently attaches to the earlobe and measures heart rate variability. The app uses a breath pacer and graphical display of the heart rate to help the person concentrate and control their breathing and pulse rate. The Inner Balance sensor will be available in February for $99 and the free app can be downloaded from the Apple AppStore for iPhone, iPad and iPod Touch. Interview by Jamie Davis of Health Tech Weekly. Some of you may know the game Pitfall thanks to it being kept alive through computer emulators, and a few of you may even remember playing it on your Atari game console. Now Activision has revived the classic with a remake for iPhone, iPad, and iPod Touch devices. The new Pitfall coincides, not by accident, with the 30 year anniversary of the original Atari version from 1982. An Android version is also planned, but no release date has yet been scheduled. Amazon Cloud Player has been available for Android devices since it launched, but today Amazon announced that the music app is now available for iPad and iPhone. That’s great news for iOS owners, especially given that the other big player in this field, Google Music, is also not available for Apple’s mobile platform. Amazon Cloud Player offers 5 GB of free storage for your MP3’s. Customers can not only store the music they purchase through the Amazon MP3 Store, but also upload their existing music to the service. Additional storage is available at tiered rates, which are pretty reasonably priced. New users can sign up for the service over at Amazon. The app is available now through the iTunes Store. The app is free for iPhone, iPad, and iPod Touch and requires iOS 4.3 or higher. Amazon Cloud Player is also available for Android and on the web. 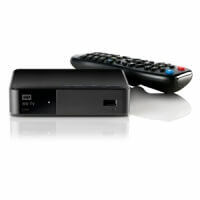 Western Digital’s TV Live series of media players has been around for a couple of years and they’ve gained a sizeable following with over 3.5 million devices sold. The 3rd generation WD TV Live has been released recently and Daniel Mauerhofer was kind enough to give me an interview at The Gadget Show Live. The new WD TV Live model introduces wi-fi connectivity which was absent on the previous model and it’s now been localised for the UK market with the inclusion of iPlayer and Spotify. Coming in two models, one without an internal hard drive (£99), which is available now, and a second which will have a 1 TB drive and will be available later in the year (approx. £129). As ever, there’s a complementary remote control app for Android and iOS devices, which looks pretty useful; it’s certainly more than just a button-for-button replacement of the IR remote control. My personal pet peeve in this area was that media players seemed either play from the local network or stream from the Internet but it was a rare device that could do both. The WD TV Live does both so it’s a thumbs up from me. 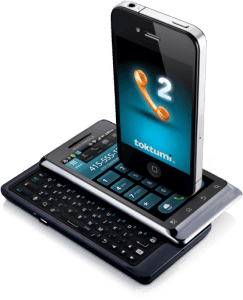 If you’ve ever wanted a second line on your smartphone but don’t have a dual SIM phone (and let’s be honest, who does? ), you’ll be interested in this app from Line2. Andy and Don get a demo from Peter on what the app offers. 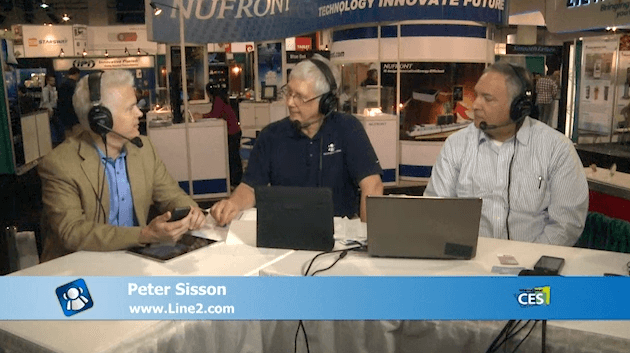 The Line2 app provides a second line by using a VoIP connection over 3G or wi-fi. All the features of a telephony service are present with a phone number, voicemail, text messaging, call-forwarding and so on. There’s also HD audio if you are calling another Line2 user. Being a data service and able to use wi-fi means that it’s possible to send and receive calls where there’s no mobile phone signal but there is a wireless connection. SIM-less devices such as iPod Touches or wi-fi-only tablets can become phones too. 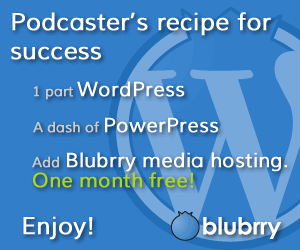 Available for both iPhone and Android, monthly subscriptions start at $9.95 a month. 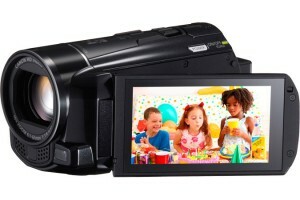 The Canon Vixia camcorders have been popular with consumers and Canon have upgraded the range with six new models. 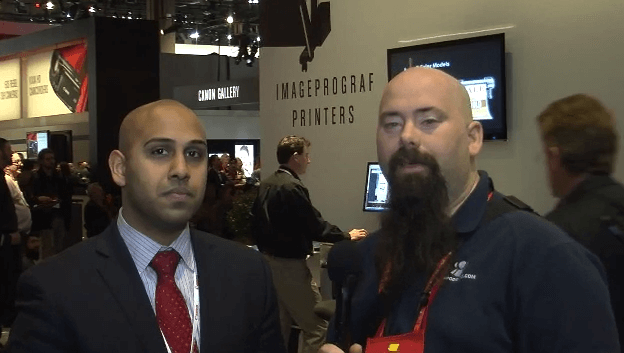 Jeffrey Powers has been a Vixia owner for some time and chats to Ben Thomas from Canon to learn more. Some of the new models have built-in wi-fi allowing live streaming from the camera to iOS devices such as the iPad and iPhone. The footage can be captured by the free Movie Uploader app and, if desired, uploaded to Facebook and other video sharing websites. There’s also new dynamic image stabilization technology that has four different stabilization modes that kick-in depending on the particular situation. The Vixia camcorders normally record the AVCHD format but they can record direct to MP4 which is great for sharing on media players and mobile phones. The cameras take SDXC cards (up to 64GB) and have internal memory; the price determines exactly how much. Roughly, 32 GB will give 12 hours of 720p footage. Prices start from $349 for R-series and $549 for the M-series. Sorry we didn’t get to see Kellie Pickler. 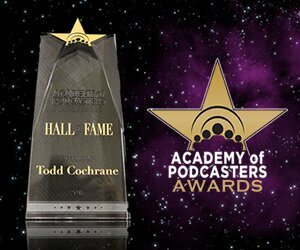 Interview by Jeffrey Powers of Geekazine.